We are offering Automatic Dough Kneader and Dough Kneading Machine. Dough making machine it is used for making besan dough for namkeens (Indian Savouries) and also dough for chapattis, the flour is loaded from the top along with the ingredients, after 3 min cycle the Dough is ready. Capacity: 5 to 100 kg. Machine Size: As per kg. Time Consumption: 4 to 5 min. / As per kg. Machine Weight: As per kg. 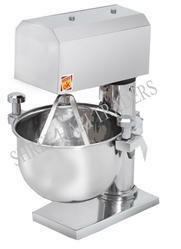 Heavy Duty Aata Mixer for Wheat Flour, Roti, Namkeen, Biscuit etc. Tilting of Bowl for Easy Operation of KneaderEasy to Operate, Forward-Reverse Rotation. Soundless Machine Design Fitted with Gear Box. 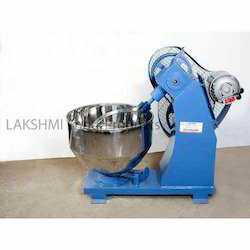 We at dharti industries is manufacturing platinum dough kneader , atta kneading machine , dough mixer .